or canoeing the Magalloway River. It presents a series of trips that could comprise an entire summer of exploration or be stretched out over years. The authors present a series of day or weekend trips that could comprise an entire summer of exploration or be stretched out over years. Combined, the trips represent a broad-based discovery of the entire state of Maine. Maps, clear directions, and pertinent information are included for each trip, as well as first-hand descriptions of what you can expect to encounter along the way. 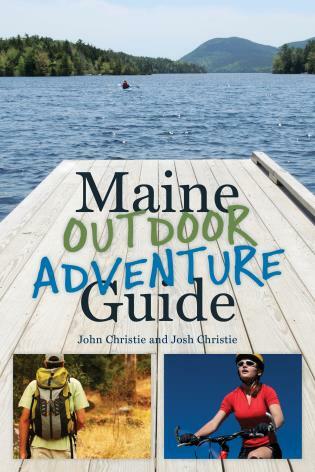 Author of the Skade-Award-winning The Story of Sugarloaf,John Christie is an avid outdoorsman and pioneer of Maine's ski industry. He is a member of the Eastern Ski Writers Association and a regular contributor to the Portland Press Herald and Maine Sunday Telegram. John Christie lives in Washington, Maine. Josh Christie is John's son, manager of a bookstore in Freeport, Maine, and the author of Maine Beer: Brewing in Vacationland (2013). He, too, has written for the Portland Press Herald and Maine Sunday Telegram.